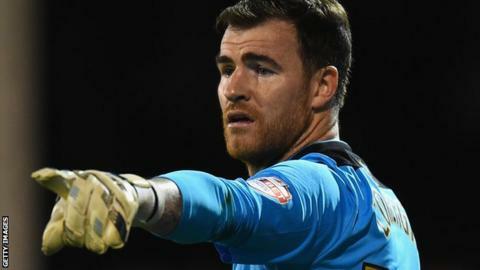 Bolton Wanderers keeper Andy Lonergan has said manager Neil Lennon's winning mentality has improved the team. Lennon, 43, took over in October after Dougie Freedman was sacked and has guided the club out of the Championship relegation zone into 21st place. The Wanderers have won three of their last five games and the former Preston and Leeds keeper said it was on the training ground where the difference had been made. "We're playing football, simple as," Lonergan, 31, told BBC Radio Manchester. "We don't worry about the opposition, we don't play against manikins. "On a Friday we do seven minutes of a one-touch game and when he first came, it was terrible. "Now we're popping it about, scoring goals and it's a pleasure to watch." Lonergan, who mainly appeared as a substitute during Freedman's tenure, has started every game under Lennon and said he wanted to reward the manager's faith. "I pretty much got told I could have a free transfer before the gaffer came in, so things have changed and I'm happy," he added. "I just want to keep playing and keep contributing to the team. "I liked Dougie, and he did have his positives, but it just wasn't working for whatever reason. "But this at the moment is a fantastic place to come in, the gaffer, as hard as he is, he's the first one to praise you if you do well."